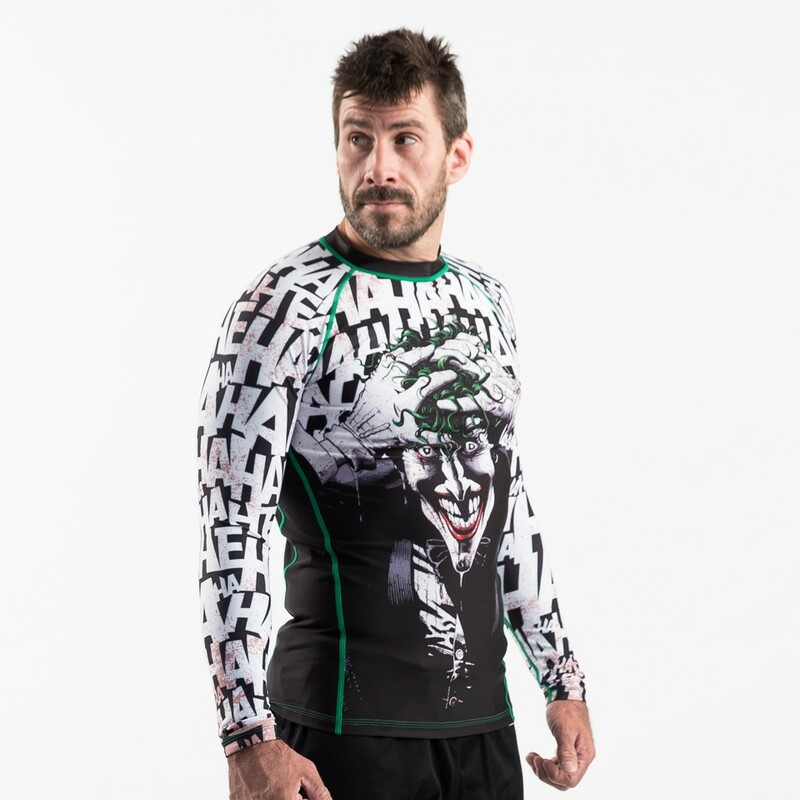 This killer (pun intended) officially licensed Batman BJJ rashguard design is based on the classic 1988 DC Comics graphic novel "Batman The Killing Joke", written by Allan Moore, and illustrated by Brian Bolland. 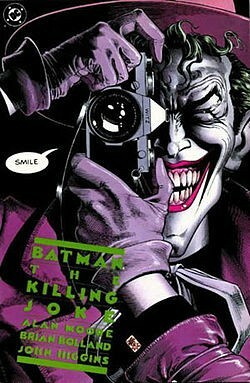 Many super nerds like ourselves consider it to be best Joker story ever written, and one of the best Batman comics of all time. 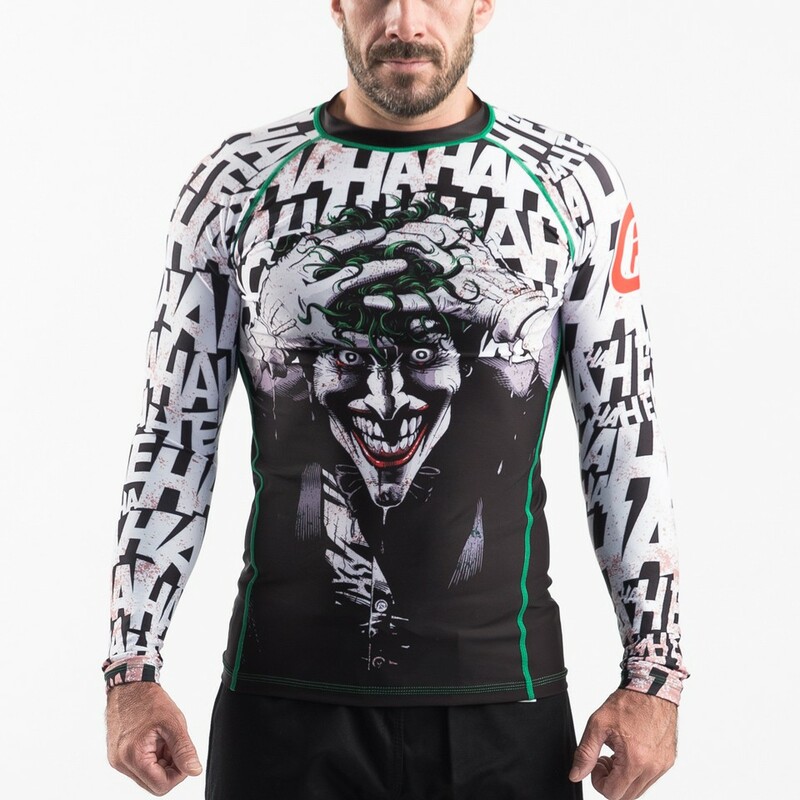 It tells the tragic tale of the Joker's origin, and shows the reader just what a nut-ball he really is. 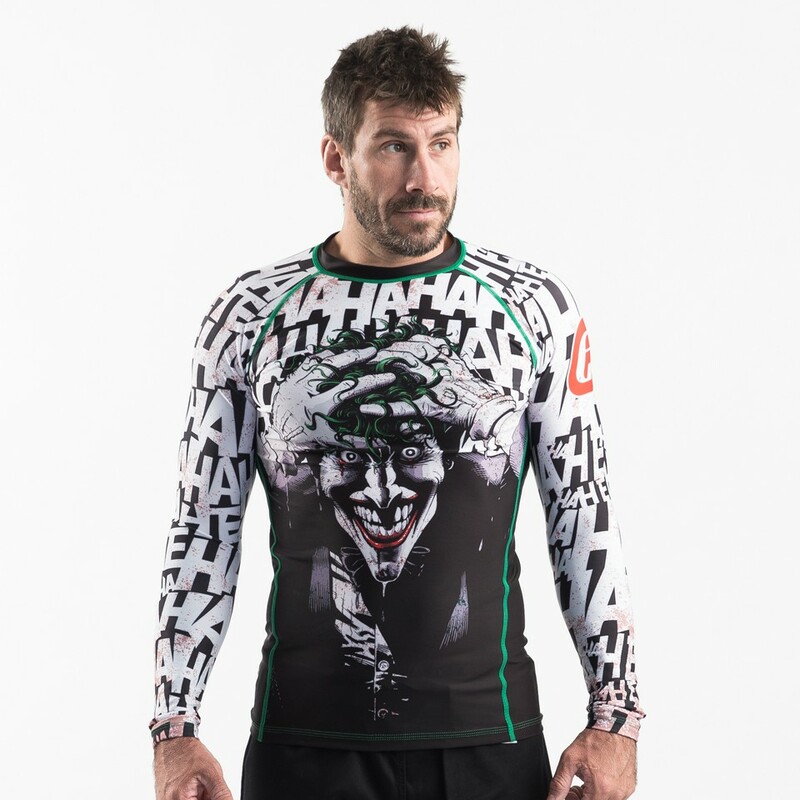 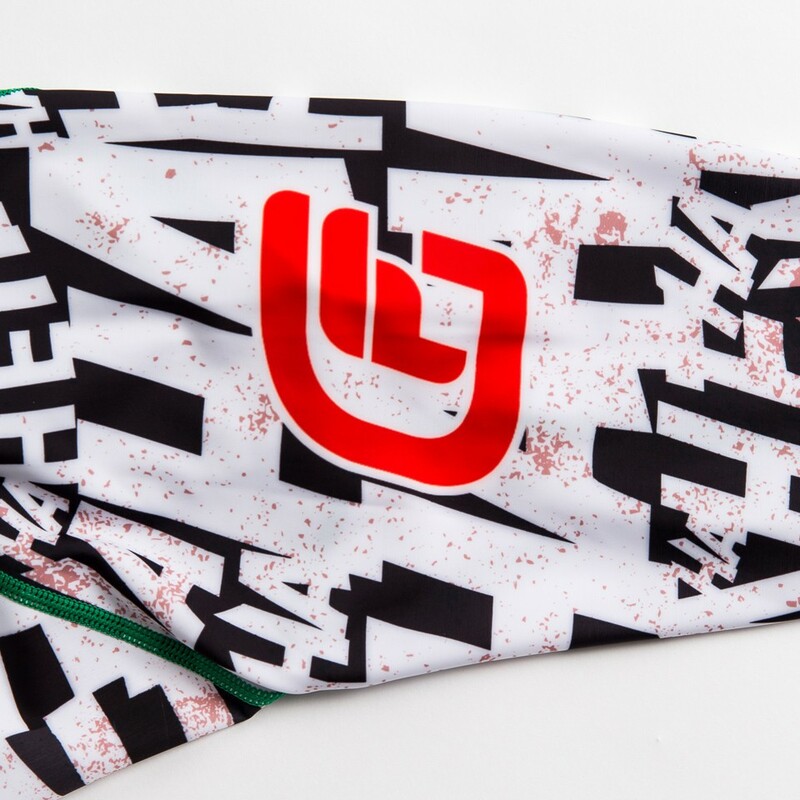 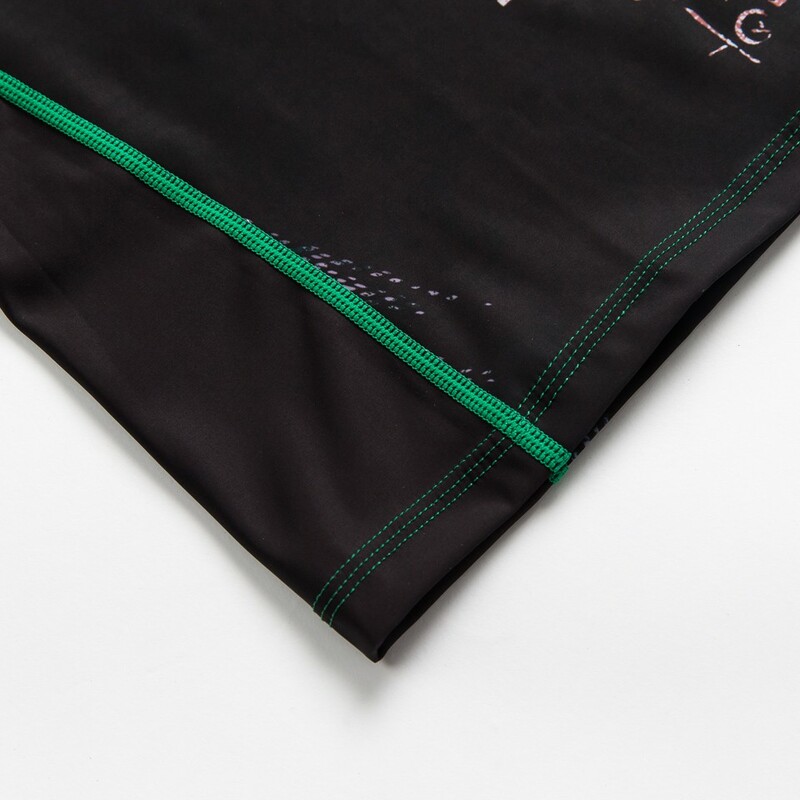 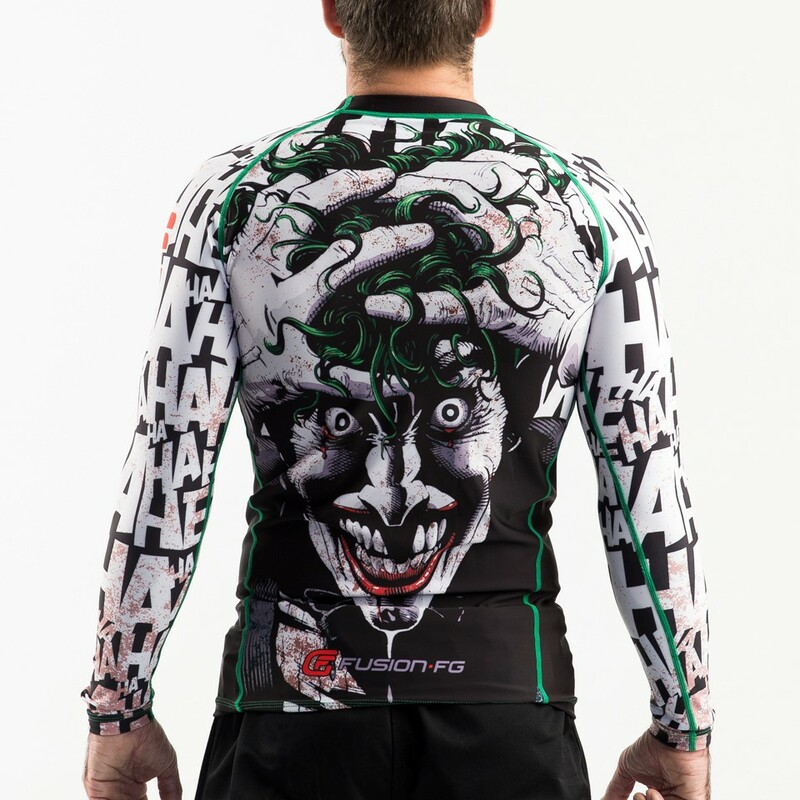 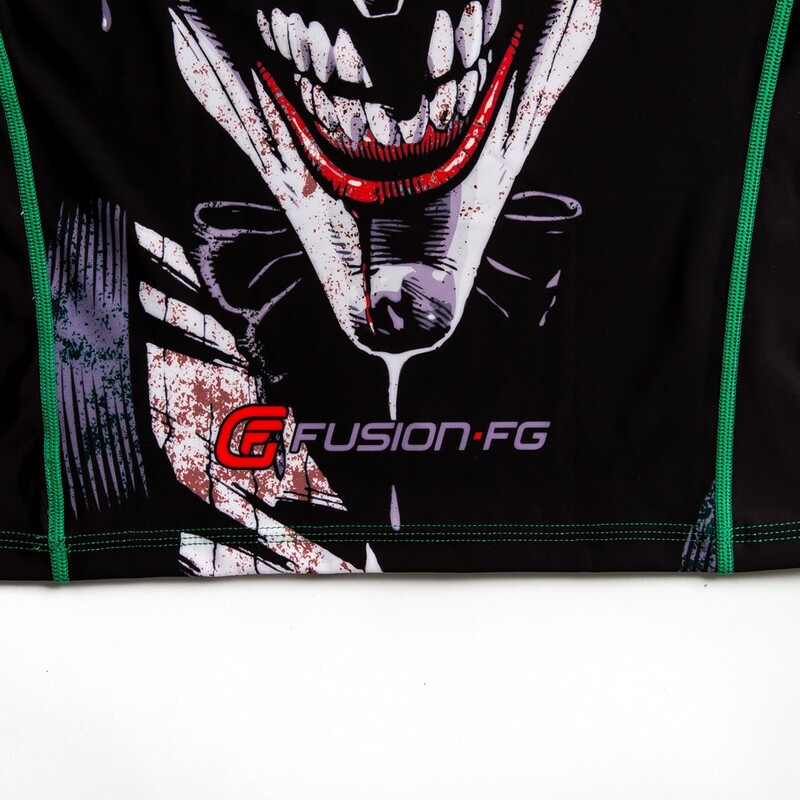 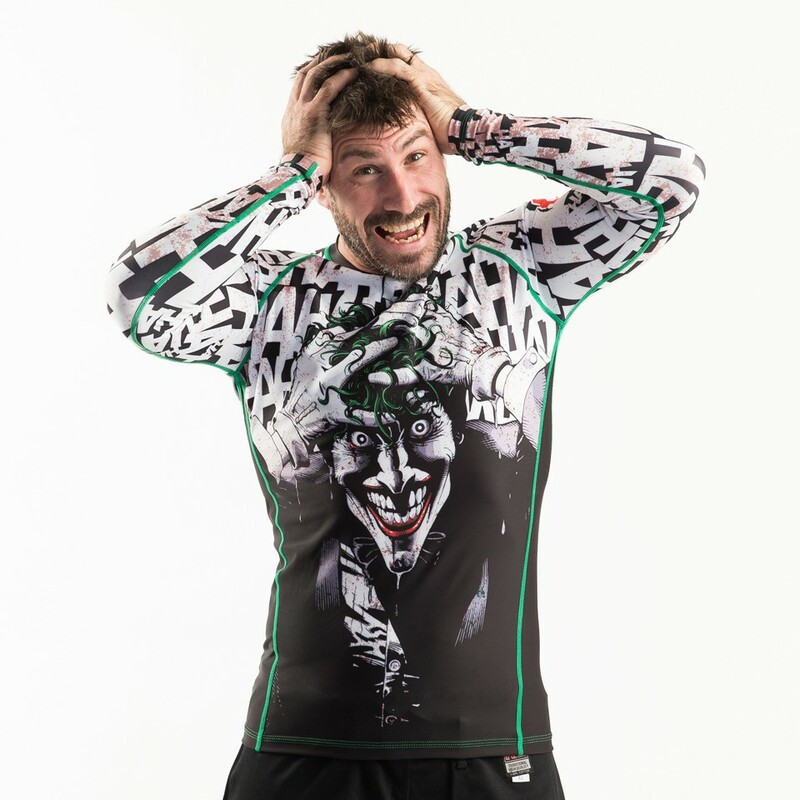 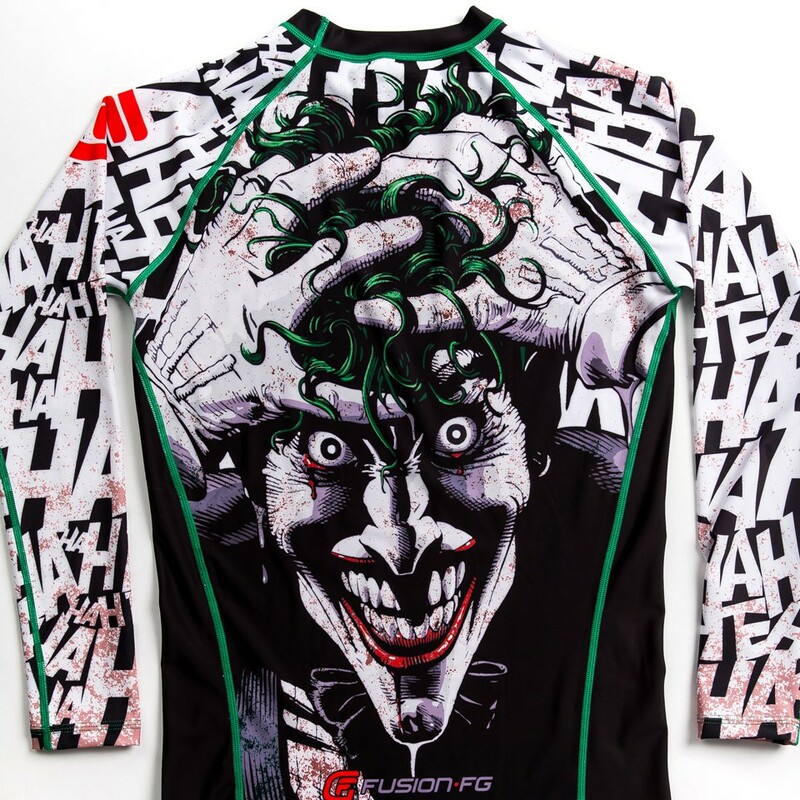 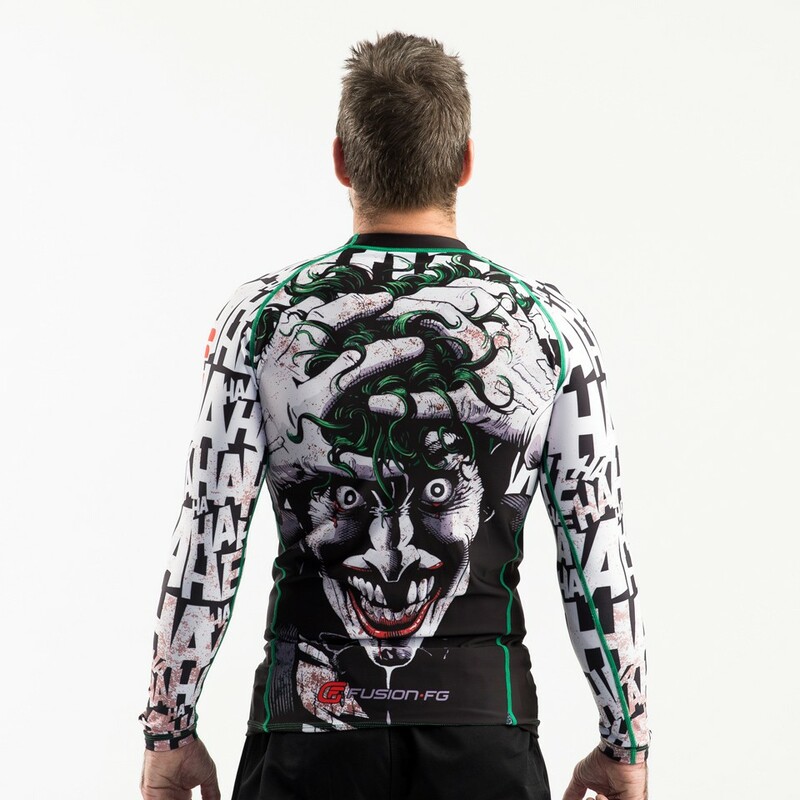 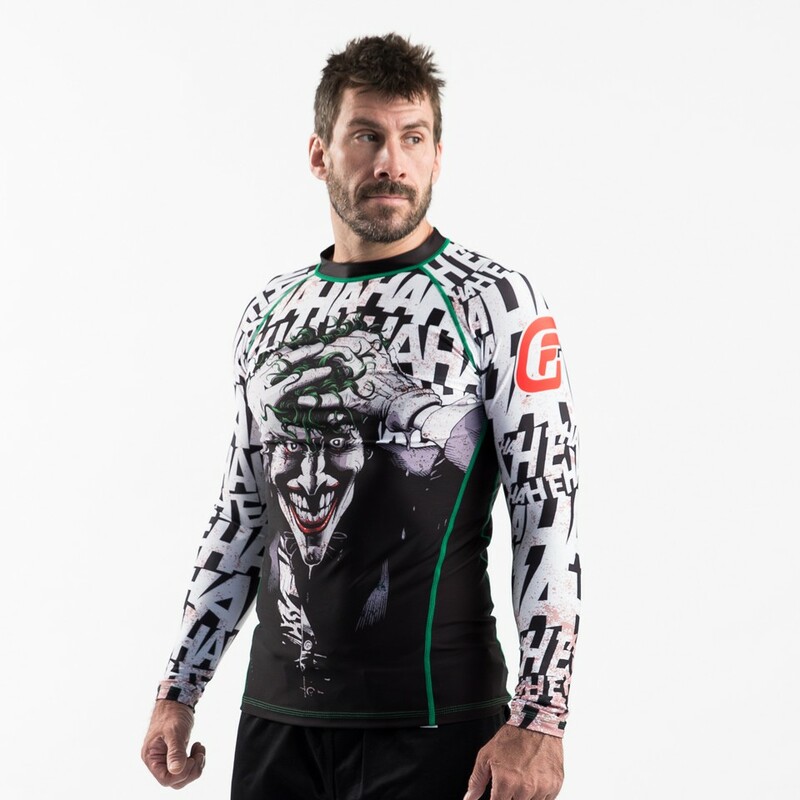 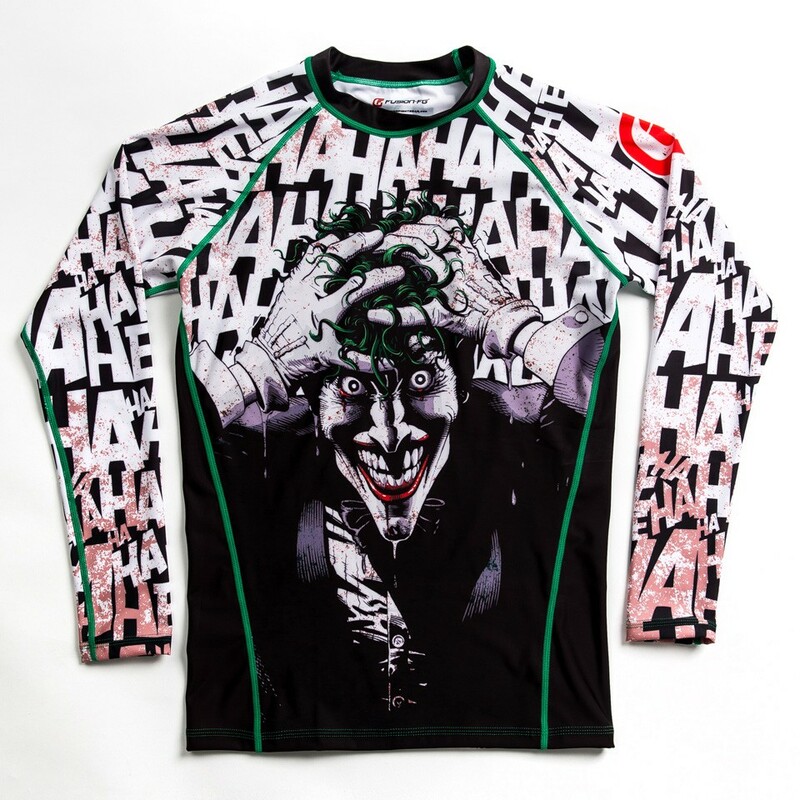 The photo on the front and the back of the rash guard is taken right from the comic, and is of a crazed Joker after he emerges from a chemical waste bath. 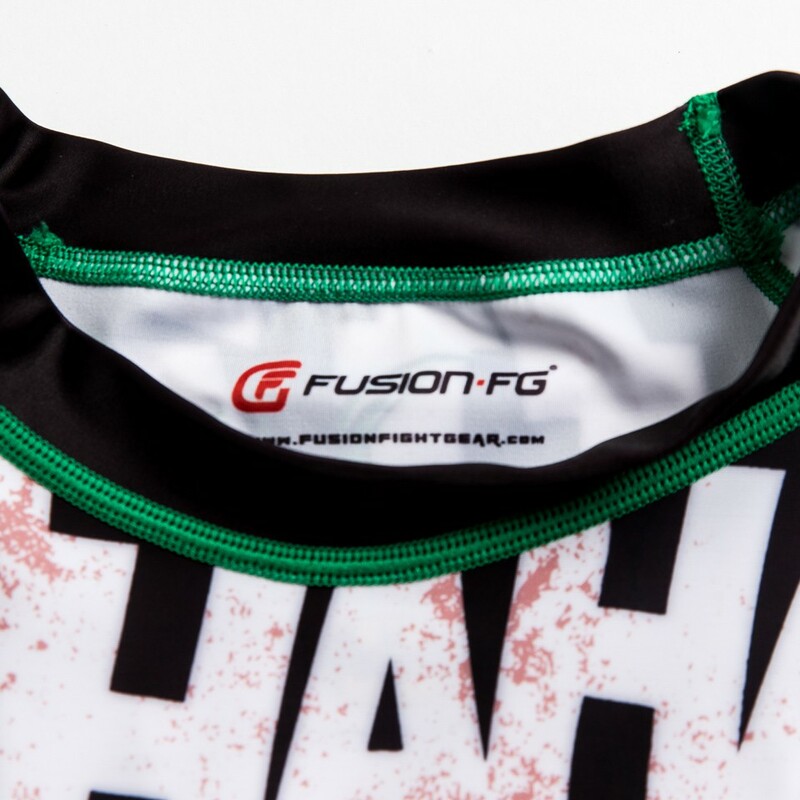 Not good times.